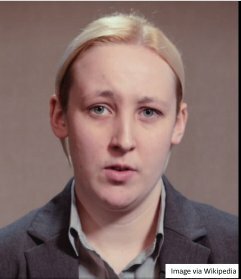 Since then, like many others, I have seen Mhairi Black’s maiden speech as an MP. Emotionally brilliant with some home truths for Labour. “I like many SNP members come from a traditional socialist Labour family and I have never been quiet in my assertion that I feel that it is the Labour party that left me, not the other way about. Later I met someone from the Scottish Labour and asked if Mhairi could be the next leader of the Labour Party. He visibly stiffened and said she wasn’t all she appeared to be and that her maiden speech may have been written for her by Angus Robertson, the leader of the SNP in Westminster. “Angus Robertson’s fingerprints were all over it”. He also said that the SNP were a mixed bunch of nationalists, not to be trusted and slippery with their arguments. I have found a Scottish Labour website with a piece by one of Saturday’s speakers, Daniel Johnson, who seems to corroborate Scottish Labour’s dim view of the SNP. I suppose the “Red Tory” message had got to us four in the Labour committee room. But was Mhairi Black’s speech svengalied by Augus Robertson? And is the SNP a left wing party in Europe that Labour must reach out to? If, as Jeremy told us, the Tories are fixing the electoral system to give them everlasting power, would we welcome Scottish Independence so at least Scotland does not suffer everlasting Tory government?